As Program Coordinator, Liam is responsible for researching best practices in writing pedagogy, for helping deliver graduate programs such as Writing Consultations, Thesis Boot Camps, and Writing Workshops, and for developing new programming for undergraduates. Liam is excited to design resources in response to student, staff, and faculty needs and to facilitate opportunities for members of the U.B.C. community to engage with writing as a creative means of sharing and building knowledge. Miles joined the Centre for Writing and Scholarly Communication (CWSC) in June of 2018. In 2017, Miles graduated from Simon Fraser University with a BA (Hons) in English with a focus on Writing and Rhetoric studies. In addition to his time at SFU, Miles studied drums/percussion at Capilano University’s Jazz Studies program and has performed in a wide variety of musical contexts. Miles is keenly interested in argumentation and writing pedagogy across disciplines. As Program Assistant at the CWSC, Miles offers day-to-day operational support and assistance to writing consultants and staff. In addition, Miles coordinates room bookings and logistics for workshops and events held by the CWSC, as well as answering general inquiries from students, staff, and faculty about CWSC services. 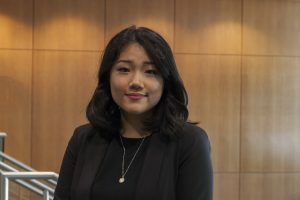 Grace Lee joined the Centre for Writing and Scholarly Communication (CWSC), located in the Chapman Learning Commons, in May 2017. In addition to studying English Literature at UBC, Grace completed co-op terms at Time Warner Public Policy and the CWSC. She previously worked for one and a half years in student support at UBC Go Global. Grace is a linguaphile and aspiring polyglot; she volunteers as a language exchange facilitator for Language Partners BC. 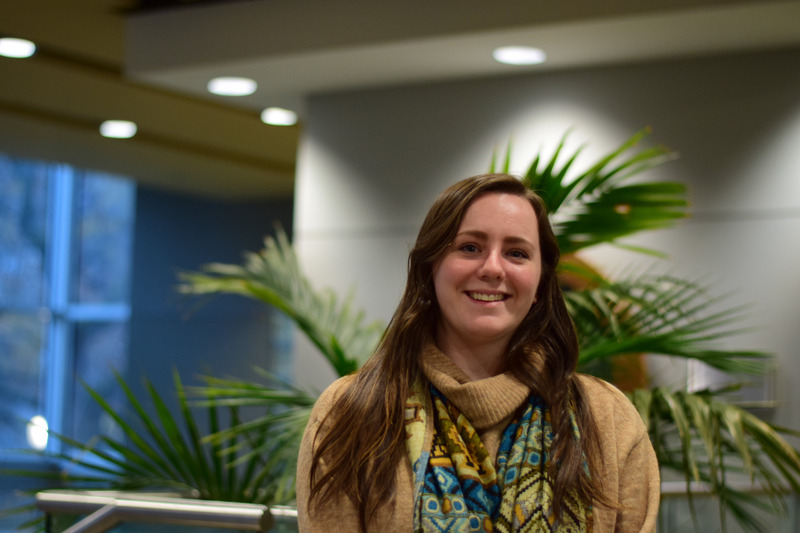 Grace is the Program Coordinator at the Centre for Writing and Scholarly Communication. She contributes to the development, implementation, and evaluation of writing consultations, workshops, and other CWSC programs. She is delighted to support a culture of learning, leadership, and service for students in the CWSC. 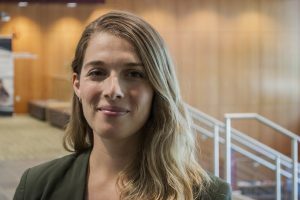 Andrea Robin joined the Learning Centre in July 2017 as Program Assistant for the Chapman Learning Commons. Before joining the Learning Centre team, Andrea worked with universities and non-profits providing programming and facilitation for integrated learning as well as grant writing and development to build access to education for communities throughout the province of BC. With a background in fine art and further studies in neuroscience, Andrea has been contributing at the intersection of culture, learning, and social innovation for over ten years. Andrea is grateful to support young people and learners of all ages to reach their goals by their values. As Learning Commons Program Assistant, Andrea’s fortunate to offer support to students as they build their capacity through integrated learning. Andrea contributes to the development and maintenance of processes supporting the day-to-day operations of the Chapman Learning Commons including managing workshop/event bookings in the Lillooet and Dodson Rooms, creating content and curation for the digital signage screens in the Learning Commons and Music, Art and Architecture Library, website maintenance, promoting learning opportunities by contributing to the CLC social media platforms and providing ongoing information referrals to the UBC and greater communities. 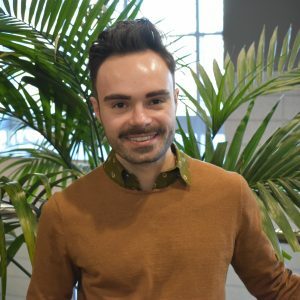 Alex Kuskowski joined the Learning Center in October 2016. A UBC Alumni, Alex gradated with a Master’s in Library Science from the UBC School of Library, Archival, and Information Studies (SLAIS). Prior to working in the Learning Commons, Alex was a writer and editor for a children’s book publishing company. Alex has an extensive background in writing, education, and digital media. 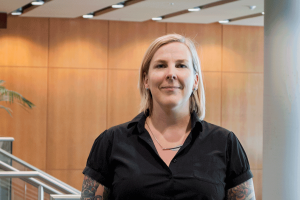 In her current role, Alex manages the planning, implementation and assessment of learning support programs and services at the Chapman Learning Commons. This includes overseeing the equipment lending program and student-staff at the Chapman Learning Commons desk. 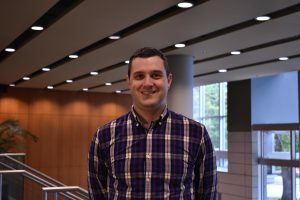 Alex also co-leads several UBC collaborative information literacy projects including the Digital Tattoo project and the Making Research Accessible Initiative (MRAi). Alex is interested in using digital media and emerging technology to engage students, staff and the community with library services. 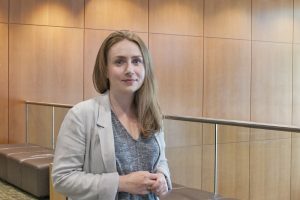 Rebecca Shaw joined the Centre for Writing and Scholarly Communication (CWSC) located in the Chapman Learning Commons in June 2017. She previously worked in Student Services (Residence Life) as an Experiential Learning Coordinator at Simon Fraser University where she focused on developing co-curricular leadership programming and implementing the University’s first ever living-learning communities. Before pursuing her graduate degree in Adult Learning, she worked at UBC as a Research Support Officer and Awards Coordinator with the Office of the VP Research supporting graduate students, post-doctoral students and faculty members. During her graduate degree, Rebecca worked as a peer writing consultant at the UBC Writing Centre. 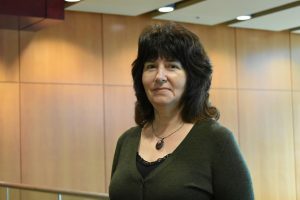 In her current role as Program Manager, Centre for Writing and Scholarly Communication, Rebecca oversees the operation of the CWSC including the design, development and delivery of writing support services and other educational programming relating to writing and literacy for undergraduate and graduate students. This includes leading a team of peer writing consultants who provide customized face-to-face support to writers at all levels of proficiency, at any stage of the writing process, working on any type of academic writing. Rebecca and the CWSC also collaborate with faculty and campus partners to provide campus-wide support and engagement around all aspects of academic writing, in and across disciplines. Rebecca is passionate about developing student leaders and creating support programs that focus on students as active life-long learners with an interest in developing their own agency as scholars and writers. Adena Brons is an alumna from the iSchool at UBC with a Masters of Library and Information Studies and Masters of Archival Studies. Her Bachelor of Arts (Honours) is also from UBC, in the English department. She has worked previously at the New Westminster Public Library and Simon Fraser University Library as a reference librarian. Her interests include community outreach, information literacy, and open access/open education. As Community Engagement Librarian for Business Services, Adena is responsible for the management and development of the Library’s entrepreneurship and community-focused business programs, including the Small Business Accelerator (SBA) program and its extensive web-based research assets. In addition, she is also responsible for conducting outreach with the e@UBC (Entrepreneurship at UBC) program and the broader business community, with the goal of providing collaborative and innovative services within the Library.